Our engineers have worked closely with our team drivers to fine tune the performance of our Graphene LiPo batteries to make sure that the performance is optimal, no matter the track conditions. Thanks to the ultra low internal resistance and improved capacity, the new Graphene LiPo cells supply stable power, from the start to the end of the race. 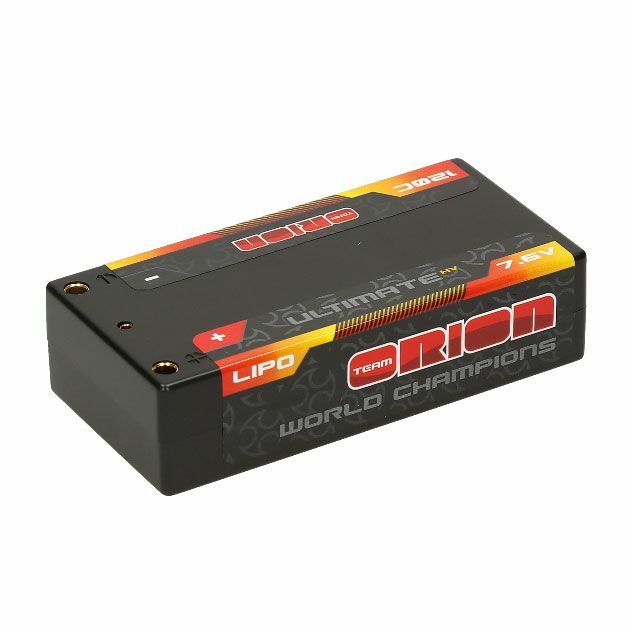 The Ultimate Graphene Lipo range is composed of two families of batteries, the Ultimate Graphene LiPo (7.4V) and the Ultimate Graphene LiPo HV (7.6V). The batteries are available in the all the most popular formats, shorty, small shorty, stick and 4S block for 1/8. Ultimate Stock and Modified motors is complete!